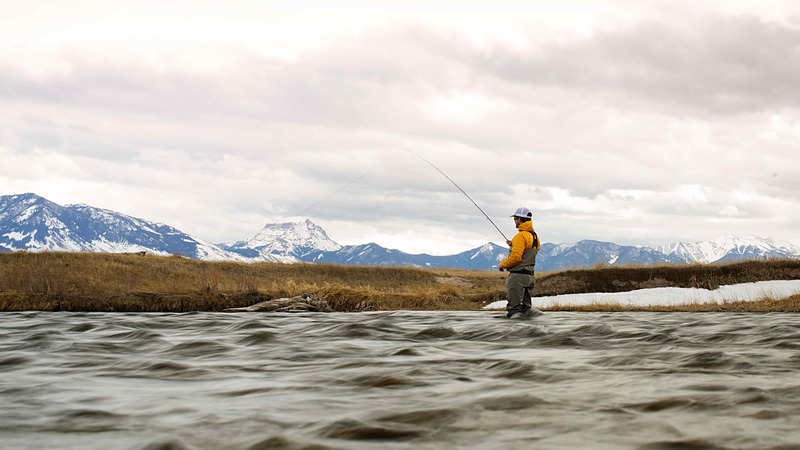 The Madison River is Bozeman, Montana’s favorite local spring time fishery. Fishing is steady and good from March through April when weather cooperates. Streamer fishing can be great, nymphing is solid, and the dry fly angler can expect success on days the BWOs hatch. Easy living for anglers and our Madison River fly fishing guides. Come May river flows increase, but not to the extent of the Yellowstone River and other nearby freestone rivers. The Madison River turns a milky color but remains fishable through May with streamers and larger nymphs. We are not sure if the fish get hungry, can’t see our hooks as well, or the higher flows just turn the big fish bite on but many of the larger fish are caught this time of year on our Madison River guided fly fishing trips. And the Madison is quiet. The crowds of summer have yet to show and it’s common to not see another boat on your favorite float. If you have read some of our other write-ups on Spring fly fishing in Montana, you know we love it. Great fly fishing and solitude.